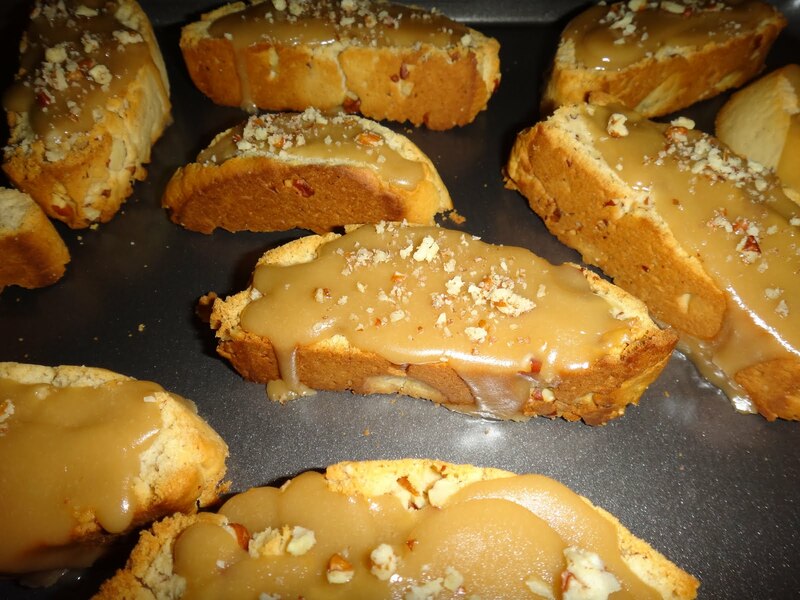 Top this tasty treat with a maple glaze sprinkled with pecans. 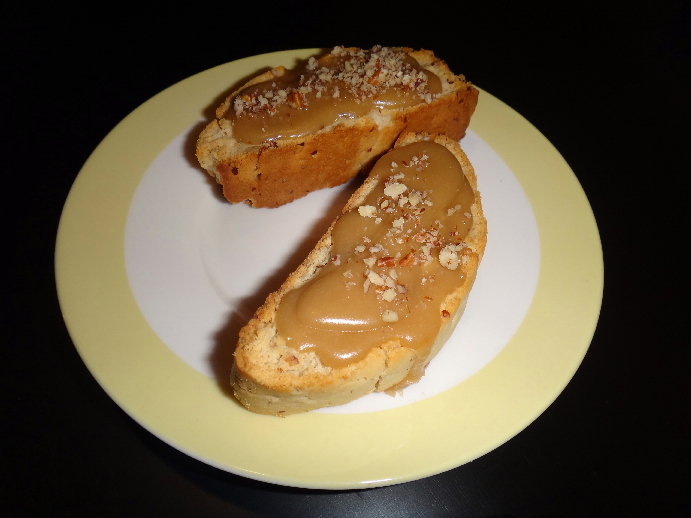 Maple Pecan Amish Friendship Bread Biscotti is perfect for tea time. Cream the starter, sugar, and melted butter in a bowl. Mix in the egg and extracts. In a separate bowl, combine the dry ingredients together, except for the pecans. Mix small amounts of the dry ingredients into the bowl with the wet mixture until combined. 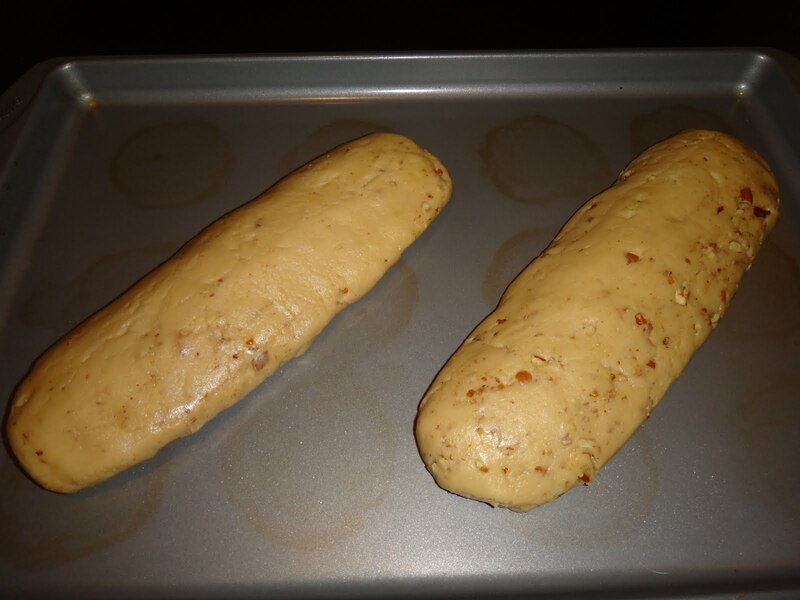 Split the dough in half to create two balls of dough. Roll each ball into a log about 10 inches long and flatten until it is about 3 inches wide. Bake for 20-25 minutes, until firm. Cool on baking sheet for 10-15 minutes. Slice logs crosswise into ½ inch-¾ inch wide slices. Place slices cut side down on baking sheet. Return to oven for an additional 15-20 minutes until crisp and light brown. Cool and then top with Maple Pecan Glaze.